The Bible, the Qur’an, and Science is an objective study of the Old Testament, the Gospels and the Qur’an. This book seeks to spiritually unite by highlighting similarities in the texts. It sheds new light and dispels many preconceived ideas in separating what belongs to Revelation from what is the product of error or human interpretation. I did not even get through with the Introduction, or the Preface, before having the feeling this was not entirely “…an objective study…” or comparative study of the Bible, Qur’an, and Science. But far from me to stop reading a book solely on such an observation. I knew by the end of the introduction where this doctor was going with his assertions; despite the explanations for such by the Christian community and the archaeologists, etc. But I still believe that one can learn more from an adversary based upon his position on certain subjects, especially religion & religious texts. Also, do you remember the old adage? Yeah! Remember that! Most of us purchase books based upon their cover. So I read on…because I wanted to understand the mentality. So, if you believe rightly, there is no compulsion. For brevity sake I will not subit all, but shortcuts to such references where the Qur’an in essence, if not blatantly, where Islam forces one to submit or die. While these may not be all-inclusive, it is enough to get the message through to those who do not believe concerning Islam’s stance on peacefully coexisting with others. Dr. Bucaille makes assertions without proof, or negating nor acknowledging, supposed contradiction within the Biblical text. He pushes a belief that the Bible is not science compliant and science denier position. Which is completely foolish. While throughout the history of Christianity there were church father’s who denied such sciences as the earth being round and that the earth was the center of the universe, but those were men who made those decisions and held those beliefs. 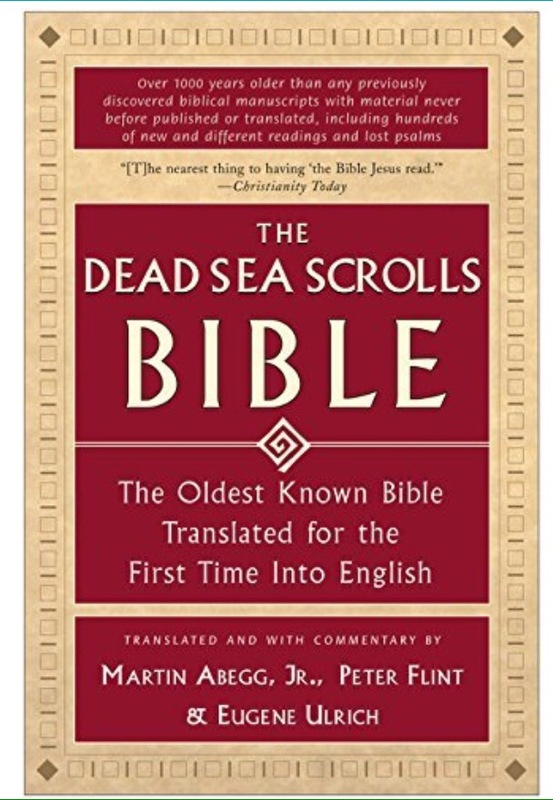 There was a time that church fathers stated and outright outlawed the possession of bibles by laymen…because we are too stupid to understand what lies within those pages. On the flip-side, there was a time where one of the Calif’s made it unlawful to possess a Qur’an. All the Qur’ans were collected and burned. And the original Qur’an was purportedly taken into heaven with Muhammad and Allah…so, where did our present Qur’an come from or originate? It is hard to believe a man who says he is being objective in his presentation and study, yet deals in half truths and partial information. Which opens us up to another thing, the doctrin of al-Taqiyya. While I was dismayed with the book itself, I was grateful for the opportunity to read something that was outside of my comfort zone and showed me that people do not believe as I believe. Hence, they will take great strides to usurp my purposeful walk with God. I believe you understand what is going on here. But if you seek to follow Christ, not everyone will believe what you have to say, nor will they sit idly by as you share the Gospel truths. Be forewarned, my brethren! Mind Maps® are the ultimate thinking tool for maximizing your brainpower and radically improving your performance. Mind Mapping is a revolutionary system of planning and note taking that has changed the lives of millions of people all over the world. When parents send their children off to college, mom and dad hope they’ll return more cultivated, knowledgeable, and astute–able to see issues from all points of view. But, according to Ben Shapiro, there’s only one view allowed on most college campuses: a rabid brand of liberalism that must be swallowed hook, line, and sinker. In this explosive book, Ben Shapiro, a college student himself, reveals how America’s university system is one of the largest brainwashing machines on the planet. Examining this nationwide problem from firsthand experience, Shapiro shows how the leftists who dominate the universities–from the administration to the student government, from the professors to the student media–use their power to mold impressionable minds. Fresh and bitterly funny, this book proves that the universities, far from being a place for open discussion, are really dungeons of the mind that indoctrinate students to become socialists, atheists, race-baiters, and narcissists. This is an excellent primer for those intending to go into the university system, either as a student or an academic. While this is not a universal truth by any stretch of the imagination, it is quite telling of the university mindset and academia. When David Servan-Schreiber, a dedicated scientist and doctor, was diagnosed with brain cancer, his life changed. Confronting what medicine knows about the illness and the little-known workings of his body’s natural cancer ­fighting capacities, and marshaling his own will to live, Servan-Schreiber found himself on a fifteen-­year journey from disease and relapse into scientific exploration and, finally, to health. Combining memoir, concise explanation of what makes cancer cells thrive and what inhibits them, and drawing on both conventional and alternative ways to slow and prevent cancer, Anticancer is revolutionary. It is a moving story of a doctor’s inner and outer search for balance; radical in its discussion of the environment, lifestyle, and trauma; and compelling and cautionary in its proposal that cancer cells lie dormant in all of us and that we all must care for the “terrain” in which they exist. I found this book to be awesome in it’s candor and it’s presentation of much information we do not know about cancer. The author breaks cancer down to it’s most simple issue…a war waged against your body and with the enemy infiltrating your very brain center enticing it to stop the fight. In essence, you body allows for the cancer to take advantage of a weakness your body has permitted. But we can change that, to a degree and we can be ever vigilant in our fight to remain alive! This book is a multidisciplinary study that brings together a variety of ancient physical and legendary evidences that are often brushed aside, which collectively present an entirely different, and far more sensible, picture of early Earth and human history from what mainstream academic presents. Break yourself free from their chains and discover a fascinating story of the ancient past that will blow your mind! While I do not agree with everything presented by Mr. Giuliani, it does give rise to some interesting questions. And while some theories presented are speculative, at best; this view does open one’s mind to other possibilities concerning the distant past of our planet. For instance, the carbon dating process is based upon assumptions and speculation. That being said, how then can we truly trust science as a proof of anything? In so far as, the facts of any given matter; for these so called facts with respect to dating are, in fact, based upon assumption and speculative opinions. Yes, angels are real.They are not the product of your imagination. If we had open spiritual eyes we would see not only a world filled with evil spirits and powers but also powerful angels with drawn swords, set for our defense. God’s invisible hosts are better organized than any of the armies of man or Satan.Angels “think, feel, will, and display emotions.”Angels guide, comfort, and provide for people in the midst of suffering and persecution.At death, the faithful will be ushered by angels into the presence of God. A great book which specifically details the use and applications of Angels, both in the bible and in our lives. Those special and strange things that occur within our lives are happening due to some initial cause. Angels are all around us to aid, guide, and protect us…God’s children.